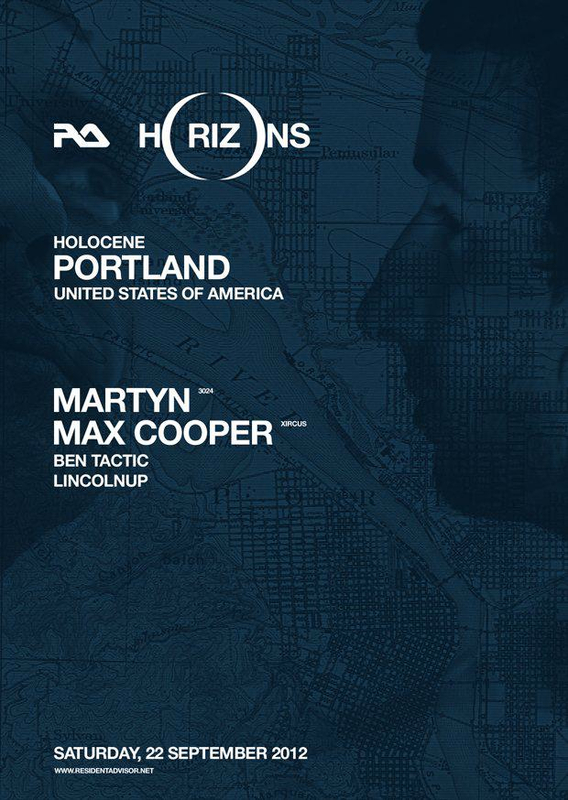 We are excited to announce that Resident Advisor (RA) is coming to Portland as part of its global event series: RA Horizons. Last year RA celebrated 10 years with its X series, staging ten events in the most essential venues in many of the world’s biggest electronic music hubs (London, Berlin, New York, Tokyo, etc.). RA Horizons has a different objective. This time RA takes a journey down the road less travelled to stage a series of parties that focus on the dedicated scenes that exist outside the established global club circuit. Places with devout crowds, savvy promoters and great venues, but where you can’t just stumble out the front door and see one of your favourite DJs every weekend. The goal is to bring artists to cities they’ve never been to before, and in the process highlight exceptional clubs and promoters that are doing big things on a local level. After all, these are the people that are really fighting the odds and forging new territory. Given the city’s unique charisma, cultural open-mindedness and enthusiasm for electronic music, Portland is a natural choice for our first US stop on the tour. Dutch bass artist and 3024 boss Martyn will headline the night at Holocene, likely weaving in and out of 4/4 rhythms as the night progresses. Joining him will be UK artist Max Cooper adding lush techno melodies to the program. Warming up the evening’s soundtrack will be Portland’s very own Ben Tactic and Lincolnup, exactly the type of artists the series aspires to showcase – talented DJs pushing great music week in, week out. This entry was posted on August 23, 2012 at 11:47 am and is filed under Ben Tactic, Bubblin, Lincolnup, Martyn, Max Cooper, Resident Advisor, Showtime!. You can follow any responses to this entry through the RSS 2.0 feed. You can leave a response, or trackback from your own site.